In all the years that the Porsche 911 has been with us, we’ve only seen the Speedster appear three times, in 1989, 1994 and 2012. There were also two 993 based Speedsters produced by the factory, one for Ferdinand Porsche and the other for noted Porsche collector Jerry Seinfeld. 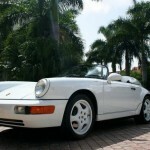 Of all the 911 Speedsters, the 964 based one is my favorite. 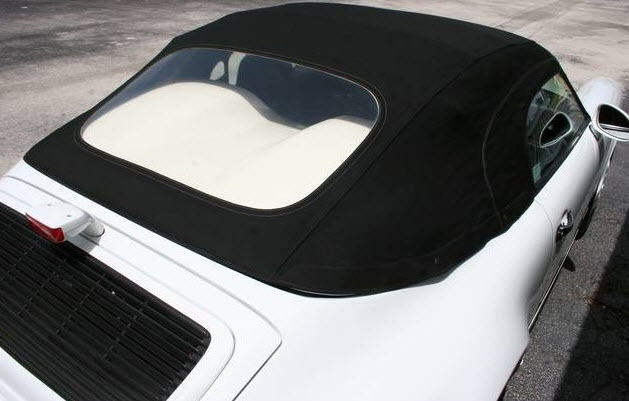 The smooth, integrated bumpers mesh well with the trademark tonneau cover. Most of the Speedsters you come across these days have low mileage and have been stashed away by collectors, and this one for sale in Florida is no different. 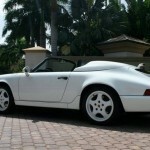 This unique and extremely rare Porsche Speedster is in concours condition and a must have to complete your ultimate Porsche collection. 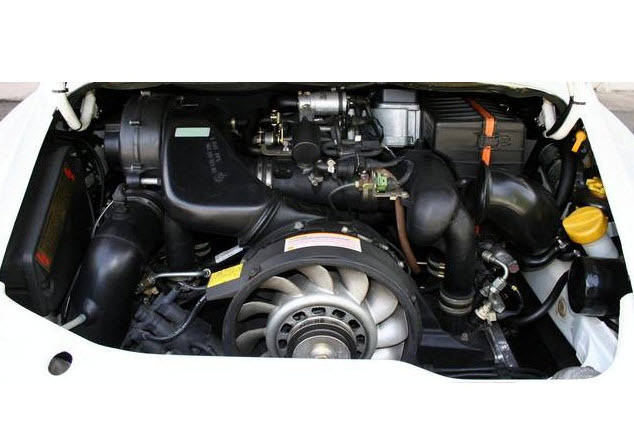 With only 23,602 miles, this Porsche is one of only 427 shipped to the USA! Immediately recognizable and a real head turner is the iconic bathtub styling. 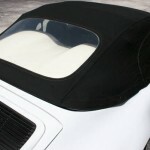 This is the final edition of the drop top, air cooled 964 Speedster and a must have. The 1994 edition is significantly more performance oriented with a larger 3.6 liter engine (247 hp), larger wheels and tires, better brakes (ABS) and a faster top speed (162 mph). 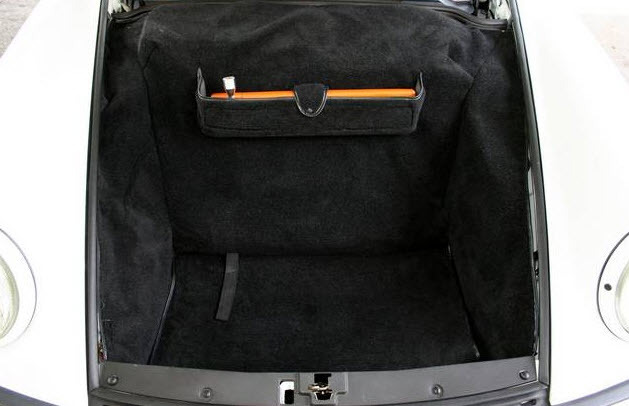 This car is equipped with a 5-speed G50 gearbox, color coded 17â€ wheels, AM/FM/CD player, black soft top (in near perfect condition), automatic rear spoiler, driver airbag, power windows and locks, cockpit tonneau cover and complete books/keys. The Dunlop tires are brand new. It has a clean Carfax with no accident history. Donâ€™t miss this opportunity to own a rare collectors Speedster in immaculate condition. 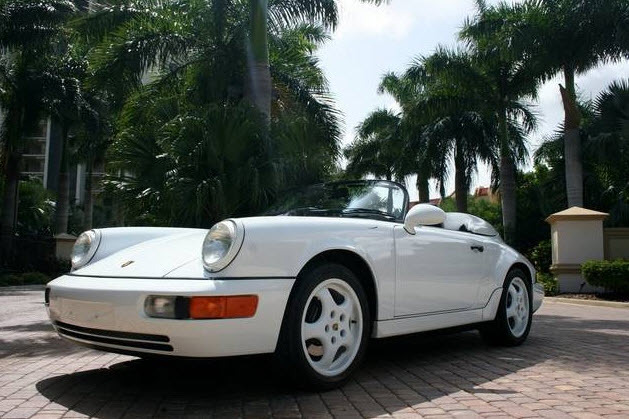 It seems that $80,000 to $100,000 is the sweet spot for mint, low mileage 964 Speedsters right now. The overdose of white might not be to everyone’s liking, but I’m a fan. While it doesn’t have the more aggressively bolstered seats with color keyed seatbacks, the cloth seats are a nice touch that you don’t see too often. Even though their price doesn’t reflect it, the 964 Speedster holds a special place in my heart, as they personify simple motoring pleasure. Tagged 1994, 3.6, 911, 964, Porsche, speedster. I’ve been a big 911 fan my entire life, but the Speedsters have never done anything for me. I know they’re special and rare, but I just don’t like them. To me, the conversion to Speedster looks like an afterthought. This particular car appears to be quite nice, even though it was oddly spec’d from the factory. However for a car this unique and with such low miles, I found it inappropriate to have the aftermarket stereo equipment installed. One would hope that the original pieces will come with the car and that it can be restored to original configuration easily. A couple of pet peeves: first, every computer in the world has a spell-check function; please use it. Second, when you’re asking this much money for a car, would it kill you to provide the CarFax or AutoCheck report as part of your listing? As far as the price, it’s hard for me to say. I wouldn’t buy one of these at any price, but it doesn’t seem out of line based on some other Speedsters I’ve seen for sale. RE: spell check, I feel ya, Kevin. Texting and email seem to have lowered the bar for writing. Maybe it’s the former editor in me, but this kind of stuff matters. That being said, I do keep the ads as original as possible, with some minor editing when things are a bit egregious. I agree on all points, Kevin. 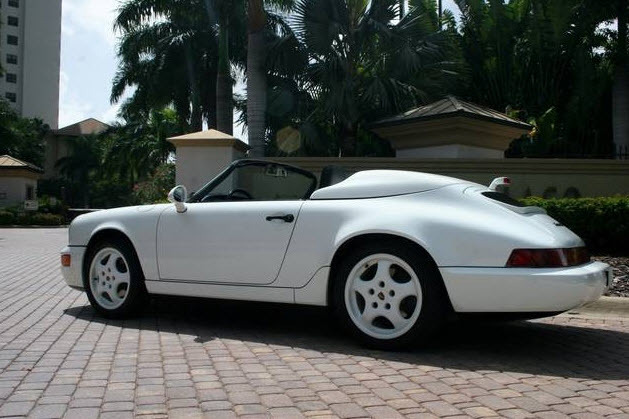 That massive humpback (sorry, “trademark tonneau cover”), the white everywhere paint scheme and the oversized pricing, makes this Speedster rather easy not to care about. Not to nit pick, Paul, but texting and email have not lowered the bar for writing. People have lowered that bar when trying to be “cool” by intentionally sounding illiterate and misusing language. Instead, they sound pathetic and sad. I owned one of these back in 1995. I bought it with 6k on the clock for 56k. The problem with this car is as some have mentioned, itâ€™s a bit odd. Those seats were not an option. 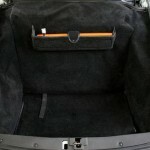 They all came with the Recaro Pole Position type seats or you could order standard factory seats as a no cost option. The seats pictured are from and RSA. No AC ? Does it have the option 220 limited slip? The top is a PITA and this one just looks like itâ€™s not set well. It could be the top or it may be some of the cheap plastic bits have broken as was a common problem. Mine had 100% black interior with pole position seats which was a cleaner look imo. This particular example has been for sale on eBay for quite a while. In terms of production 911 variants sold to the public in the US, itâ€™s one of the rarest. The 1989 version was a wide body and despite the nearly double production numbers over the 964 version the 89 version remains more desirable. Personally its one of my all time favorite 911â€™s but I am a 964 guy having owned just about every single 964 variant sold in the US. $75k bid here and tell the seller he can lean on my bid. Howard, thanks for your comments. 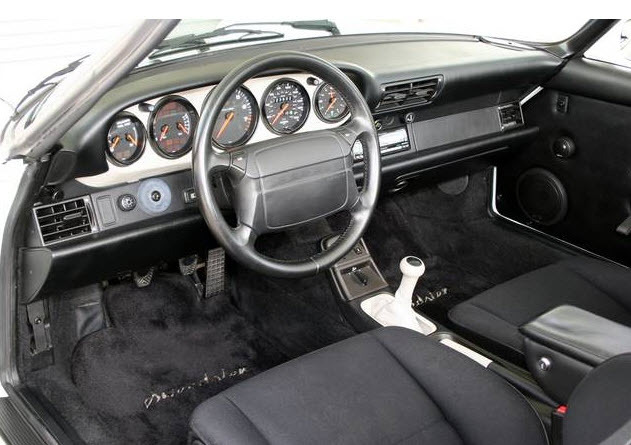 I did have a suspicion that those were not stock seats, but could not find any solid documentation from Porsche or elsewhere on what the seat options were at the time ( I had only seen the stock leather seats and or the Recaro option as you mentioned. It’s funny that the 964 Speedster is less common than the ’89 variant, because I certainly have seen more of the 964s in passing over the past few years.